You will almost certainly have seen the change Google have made recently - they are now importing external reviews into your Google listing. What they are not doing, for better or worse, is importing (or aggregating) the scores from those reviews. So it's content only, for the time being. Nominally in the name of 'enhanced content', but also in order to defend itself against accusations of unfairly abusing its virtual monopoly position (you only have to look at the share prices of the OTAs to see the negative impact Google reviews have made). 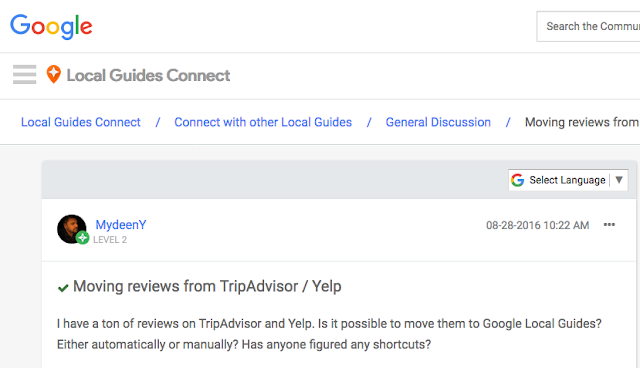 Consumers - increasingly searching for 'best' on Google, will find reviews of your hotel more easily. But if your hotel attracts anything but glowing reviews, then those, no matter where they were posted originally, will be shown by Google. Not good: why should hotels make all that effort to get reviews to TripAdvisor when their guests are increasingly using Google - and Google reviews - as their reference point? ...with reviewers moving across from other reviews sites to Google. The key is now to find the most effective way to ensure an accurate reflection of your property in reviews, no matter what the platform - and this is where HelpHound comes in. The bald numbers - that HelpHound members will generally expect to receive around 25% more positive reviews and 75% less negative reviews - hide an important mechanism. HelpHound does not exist to prevent consumers posting negative reviews, its role is to ensure that reviews are, as far as practically possible, accurate. HelpHound's Resolution™ - more here - is designed to enable both consumer and business to correct errors of fact and potentially misleading reviews before they are published. Anyone who writes a review through HelpHound has the right to have that review published. Helphound membership will ensure that your hotel looks as good as it should on whatever platform - from Google to TripAdvisor to Booking.com and all the other OTAs and reviews sites. It's as simple as that.